Nobody’s Looking at You: Essays – loudlatinlaughing – Euge! Euge! 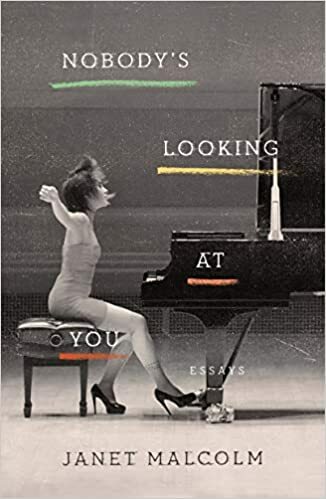 Janet Malcolm’s collection of essays has a few gems, like the one about the three sisters in their seventies who run Argosy Bookshop on E 59th St, plus the one referenced by the cover image of pianist Yuja Wang, and the Eileen Fisher profile. Coincidentally, these are the first three essays of the book. From there, I felt it was downhill, although I did like the takedown of the P&V translations versus Constance Garnett (people have been inexplicably swooning over P&V translation and I can’t understand why). She also enthusiastically recommends Alexander McCall Smith’s No 1 Ladies’ Detective Agency books, and waxes on and on about Joseph Mitchell’s dance between fiction and non.